The Powerline AV Mini Adapter uses your home’s existing electrical wiring to extend your Internet connection. It turns every power outlet into a high speed network connection. Compliant with the HomePlug AV standard, it provides network access to your computers, game consoles, televisions, and any other Internet-enabled devices throughout your home. Compact design allows the Mini Adapters to fit discretely into your power outlet without blocking adjacent power sockets. Also available as a starter kit (DHP-309AV). The Powerline AV Mini Adapter uses your home’s existing electrical wiring to extend your Internet connection1. It turns every power outlet into a high speed network connection. Compliant with the HomePlug AV standard, it provides network access to your computers, game consoles, televisions, and any other Internet-enabled devices throughout your home. Compact design allows the Mini Adapters to fit discretely into your power outlet without blocking adjacent power sockets. Also available as a starter kit (DHP-309AV). This Powerline AV Mini Adapter Starter Kit is compliant with the HomePlug AV standard and capable of delivering data transfer rates at speeds of up to 200 Mbps2, faster than regular Powerline products. This rapid transmission speed makes it ideal for bandwidth-intensive applications, guaranteeing smooth HD video streaming, VoIP phone calls, and lag-free online gaming experiences. This device provides ample network bandwidth, enabling you to tap into existing electrical wiring for high-quality multimedia streaming. Additional Quality of Service (QoS) support prioritises multimedia traffic over other types of traffic on your network connection, ensuring faster transmission. Plugs directly into a power outlet, and does not require any additional cables. Extend your home network by connecting multiple devices in the farthest corners of your home, or attach a switch or wireless access point to the adapter to connect even more devices. The adapter implements 128-bit AES data encryption at the push of a button to protect your network from any intruders. 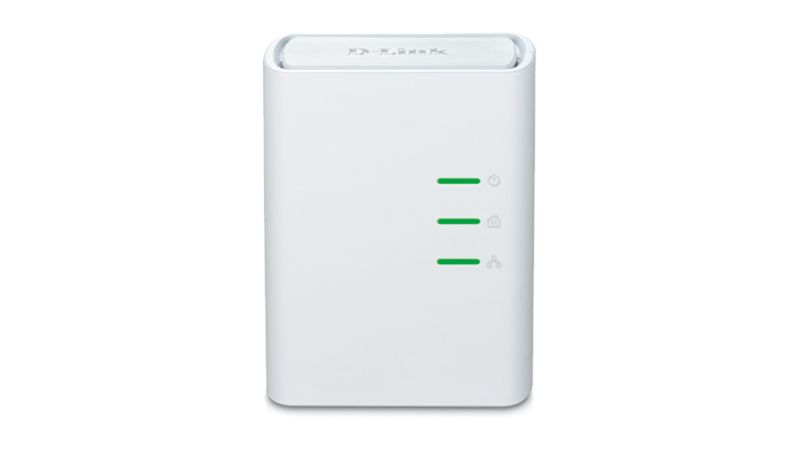 With hassle-free plug and play installation, it’s an ideal solution to create a wall-to-wall home network. During periods of inactivity, the Mini Adapters will go into sleep mode to save power, reducing power usage by more than 70%, allowing you to save energy automatically without sacrificing on performance. 2Maximum throughput is based on theoretical transmission PHY rate. Actual data throughput will vary. Network conditions and environmental factors, including volume of traffic and network overhead, may lower actual data throughput rate. Interference from devices that emit electrical noise, such as vacuum cleaners and hair dryers, may adversely affect the performance of this product. This product may interfere with devices such as lighting systems that have a dimmer switch or a touch-sensitive on/off feature, short wave radios, or other Powerline devices that do not follow the HomePlug AV standard.